Too much traffic and too little parking may be a frustrating reality for Honolulu commuters. But in cities across the country, these are driving forces behind the increased popularity of car sharing. A relatively new industry in Hawai’i. HPR’s Kuʻuwehi Hiraishi reports. 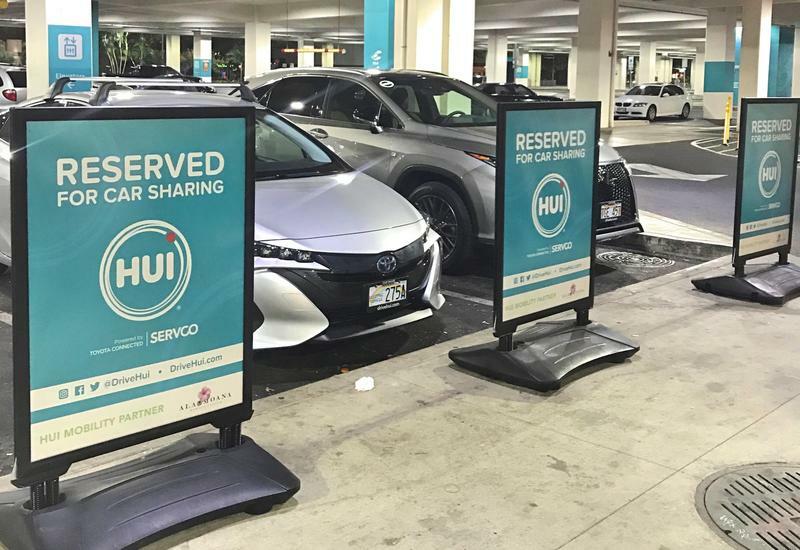 A new car share program is gearing up for launch this summer in Honolulu. The Hui Car Share Program boasts all the benefits of owning a car without the cost or hassle. The program is still undergoing pilot testing, but as HPR’s Kuʻuwehi Hiraishi reports, this could be a game changer for transportation in urban Honolulu. Compared to several years ago, the number of people using public transportation is dropping. That’s according to a study that finds the pattern to be true on the mainland—and also here in Hawai‘i. We get more from Pacific Business News Editor in Chief A. Kam Napier. Honolulu Rapid Transit---Maybe a Bus? 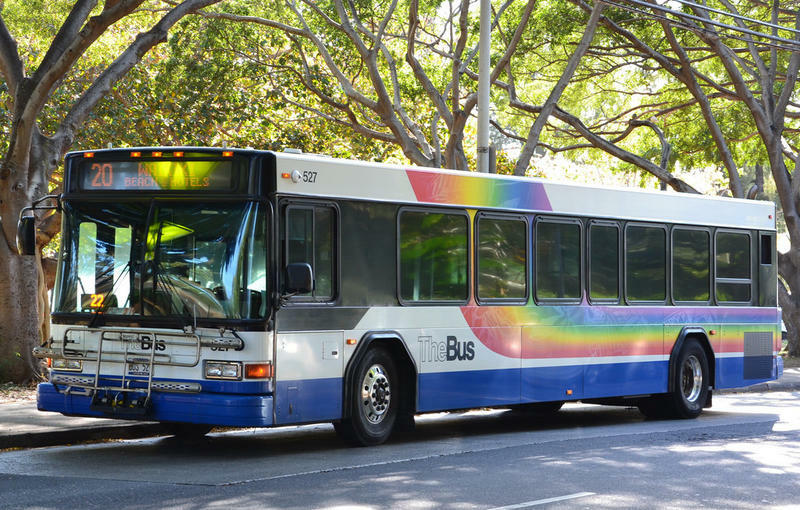 TheBus, Honolulu’s bus transit system, is the only mass transit system to be honored twice by the American Public Transportation Association, the Oscars of mass transit. TheBus is also credited with the lowest cost per mile of any U.S. system. No wonder so many people today wonder why Bus Rapid Transit, BRT, cannot be expanded to address O‘ahu’s traffic mess. Honolulu’s current bus network was developed during the Harris administration under Transportation Services Director, Cheryl Soon. Over the past several years, the sharing economy has taken hold in cities across the country. One that could get more attention in Hawai‘i is the expansion of car sharing. HPR’s Molly Solomon takes a look at what that might mean for one neighborhood in particular. This week, the leaders of the Honolulu rail project announced it was running a year late and a billion dollars over budget. Backers of a different kind of train project are hoping their plans are more successful. This one involves Las Vegas, Southern California and a consortium of Chinese companies. HPR’s Bill Dorman has details in today’s Asia Minute. The idea has been kicked around for years. A gambler’s bullet train—a high speed railway linking Las Vegas and Los Angeles, or at least a southern California location relatively close to Los Angeles. While rail is a project that remains in O‘ahu’s future - A different kind of train has a long history in Hong Kong. 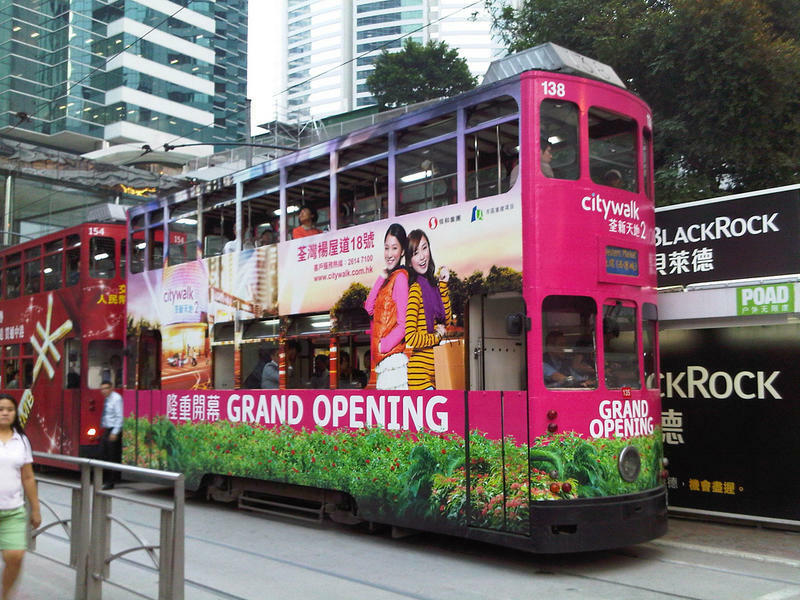 And a recent proposal to phase out the city’s trams has sparked a strong reaction. HPR’s Bill Dorman has more in today’s Asia Minute. On this show we’ll find out how the Energy Excelerator is helping to kickstart the transportation startup. We'll also feature teams from the app challenge, Reboot the Commute and find out what innovative ideas won the hearts of the judges. Can Coders Solve Honolulu's Transportation Woes? Driving in bumper to bumper traffic is nothing new for residents in Honolulu. 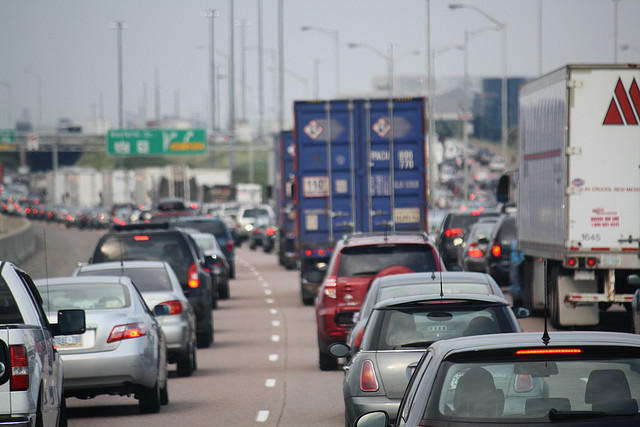 When it comes to congested commutes, the city is one of the worst in the country. Now Honolulu officials are turning to the tech community for a solution. HPR’s Molly Solomon explains. For more information on Reboot the Commute, visit their website. The hackathon kicks off Friday night at ProtoHUB at 6 p.m. Tickets are still available online. 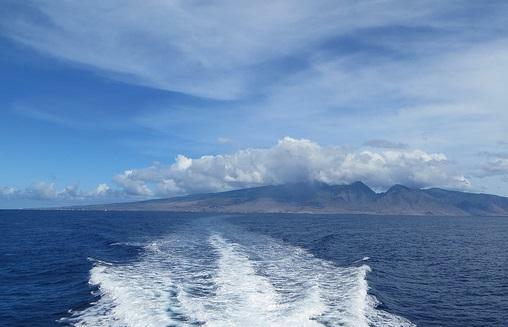 For nearly three decades, the Molokai Princess has ferried residents and visitors between the islands of Molokai and Maui. But financial challenges have put the ferry in troubled waters. Eileen Chao has more from The Maui News. Oahu’s first protected bike lane opened this weekend. More than 377 cyclists took to the streets at an opening ceremony on South King Street. HPR’s Molly Solomon was there and has this report. Honolulu’s Rail Transit system is scheduled to begin operating in three years. 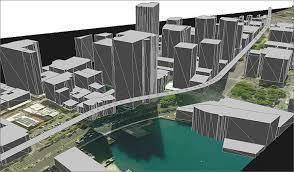 City officials are currently working on development and zoning plans for land along the transit route. HPR’s Wayne Yoshioka has this update. Construction on the Honolulu Rail Transit system resumed today following a year-long delay to complete archeological studies ordered by the Hawai’i Supreme Court. HPR’s Wayne Yoshioka attended the early morning start-up in West O’ahu and filed this report. The U.S. Court of Appeals in San Francisco heard oral arguments from both sides in the federal rail transit lawsuit today. 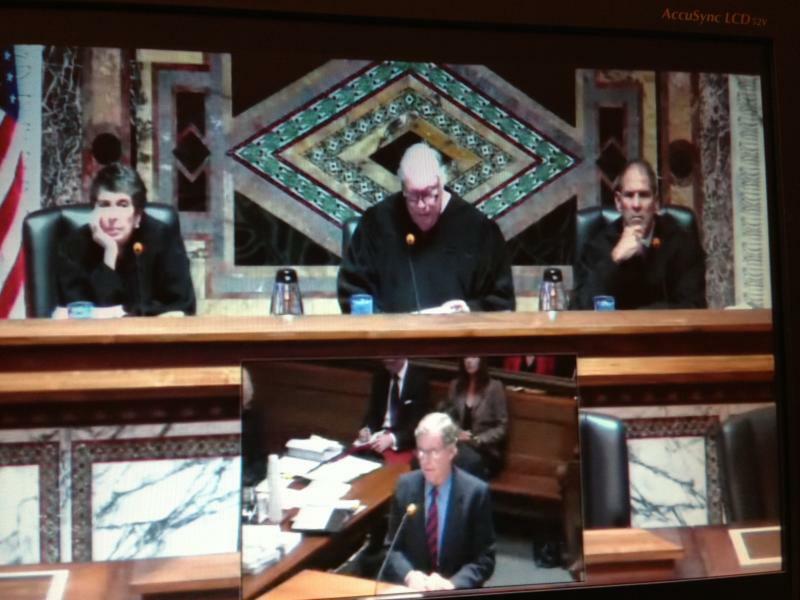 The proceeding was transmitted via live video feed to the Honolulu Federal Courthouse. HPR’s Wayne Yoshioka was there and filed this report. This Friday is Bike to Work Day in Hawaii. The annual event promotes bike safety and encourages more people to think about the possibility of commuting by bike. 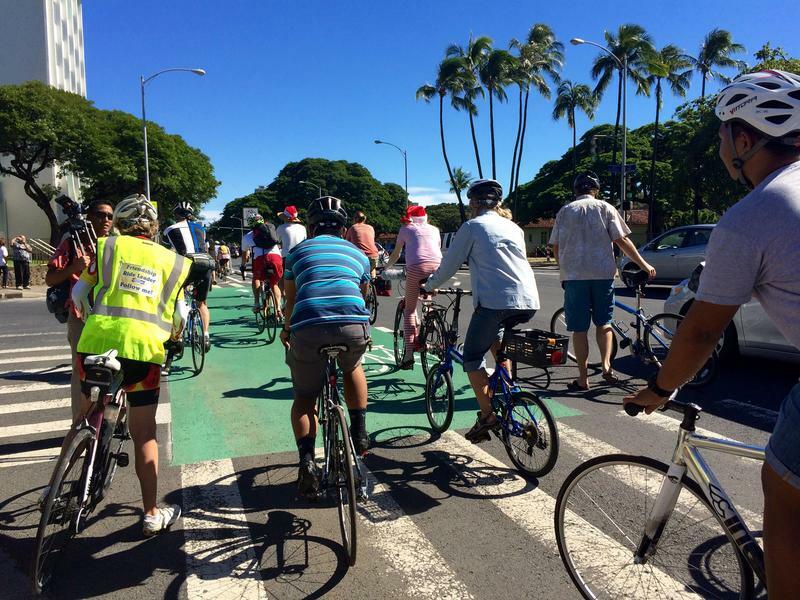 But, as HPR’s Molly Solomon reports, many in the cycling community worry the state isn’t doing enough to make Hawaii more bike-friendly. 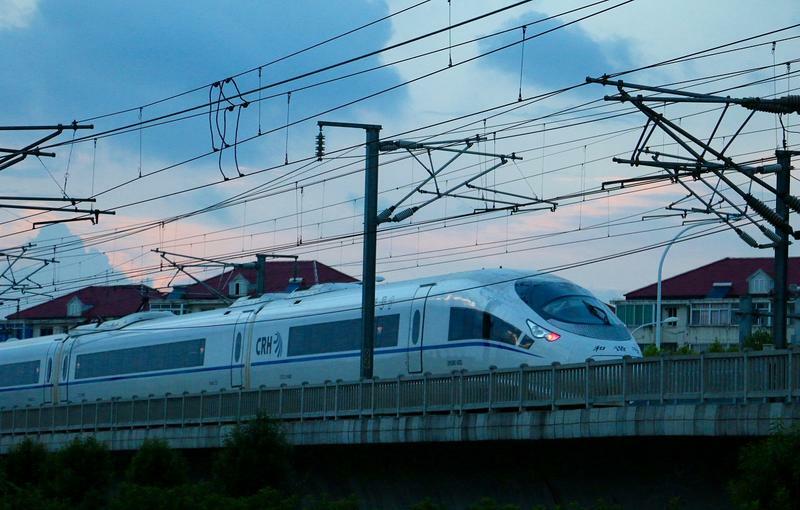 Honolulu is not the only city with a debate about trains. In Vietnam, there’s been an ongoing discussion about improving the rail link between Hanoi and Ho Chi Minh City. HPR’s Bill Dorman has more in today’s Asia Minute.